Did you know: older adults are at increased risk of experiencing mental health issues like depression and anxiety? Not only that, suicide rates among men above age 85 are the highest in the country. Thankfully though, these issues are easily treatable. 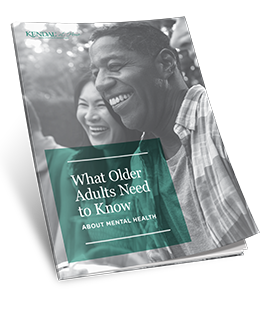 Learn the common mental issues that older adults may experience, symptoms to look out for and how you or someone you know can easily get help in this guide. Fill out the form on the right to receive your free copy now.